...........Wait a minute. Golf? Tea-drinking references? Christianity? 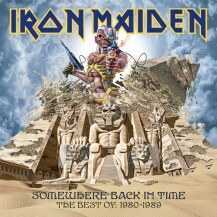 Are we still talking about good ol’ head-banging Iron Maiden here? Yes, we still are. 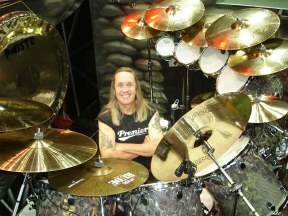 And yes, Nicko McBrain is a Christian. .... “Because I understand, and most Christian people understand, that sin is the Devil’s domain, and the ultimate sin is death, but we have a way up, and that’s where your faith and your Christianity comes into play. Sometimes I’ve had an opportunity to talk to people about my faith, and what I feel, and maybe that’s the way the good Lord’s working with me. .... “To still be able to be in such a great band, where people think we’re demonic or Satanic, most people that know and have a modicum of sense and intelligence knows that not to be true. It doesn’t take an Einstein to listen to the records and listen to the lyrics of the songs to know what’s going on. The musicians leave the backstage area and head toward the stage door, a nervous energy flowing through each of them. The houselights dim in the auditorium. The musicians prop themselves into their pre-assigned spots on the stage. The guitar players plug in their instruments while Iron Maiden drummer Nicko McBrain gets behind his drum set and scans the audience like he has a thousand times before. But this is no Iron Maiden concert. And this is not the Nicko McBrain of old. Instead of an overflowing arena of 25,000 heavy metal fans, the venue this day is a church of nearly 1,000 worshipers. 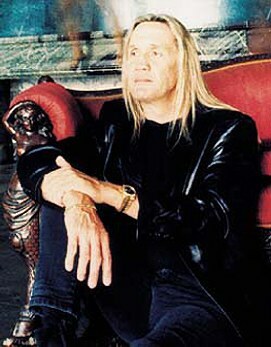 Instead of perennial Iron Maiden favorite “Wrathchild,” this new band cranks out “Shout to the Lord.” Nicko tries to stay focused on the song and not the tears that are welling up in his eyes as he reflects on the unlikely road he has traveled that has brought him to this place. .... But Rebecca didn’t give up … and neither did God. Rebecca suggested they try a different church. She had heard of Spanish River Community Church, and decided to give that church a try. Nicko was “blown away” at the very first service. The music was contemporary and similar to what he had known. A drama team performed a sketch that was related to the message. And the sermon dealt with real-life issues that he could relate to. .... All the years of running away and of living life on his own terms came to a collision point as Nicko came face to face with the One he was created to know. He quietly asked Jesus Christ to come into his heart and redirect his eternity.